Our offices are open Monday to Saturday. 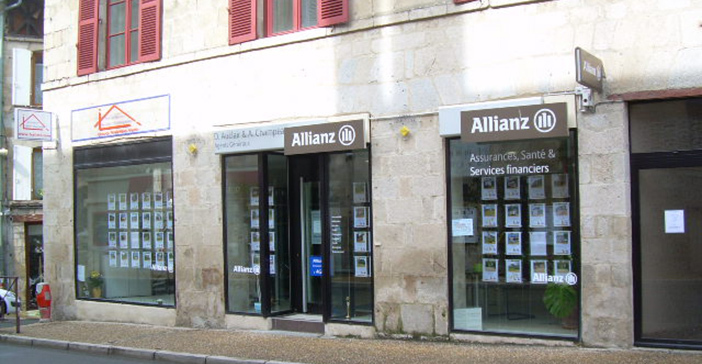 Our offices are located in the heart of Limousin near Limoges, Limousin regional capital and with its international airport Bellegarde. Limoges has one of the most beautiful train station in France to join in 3h Paris and Bordeaux in 2 hours. In addition to its rail access, Limoges is served by the A20 motorway linking Paris to Toulouse, and Spain. Our region has many amenities with a view to buying real estate: high tradition of building trades, all available raw materials, traditional housing great condition and cheap, very protected environment, landscapes softly hilly and dotted with countless lakes and rivers, suitable for fishing and hunting. Our agencies conduct your Estate search from A to Z, whatever your requirements, from the barn to renovated historic mansion. Eymoutiers is an ancient city with more than 2000 inhabitants built around its church of the fifteenth century. You will meet in this city limousine style architecture. In perfect harmony with the landscape, building typical of the Limousin is sober and functional. Granite stones, beams and slate roofs are the foundations of our homes character. Located in the Regional Natural Park of Millevaches in Limousin Eymoutiers is crossed by the Vienna river famous for its golf trout fishing. Headquarters of municipalities Gates Vassivière grouping common Beaumont-du-Lac, Augne, Bujaleuf, Cheissoux, Domps, Eymoutiers, Nedde, Peyrat-le-Château, Rempnat, St. Anne-Saint-Priest, Saint-Amand-le-Petit and Saint-Julien-le-Petit, Eymoutiers is located less than an hour from Limoges and its airport Bellegarde. Eymoutiers is a real small town. You will find sports and cultural facilities such as, school, college, nursery, cinema, museum Rebeyrolle Paul, football stadium, gymnasium, tennis courts, or a swimming pool. Enjoy the wealth of real estate this medieval town center by visiting a dynamic welcome you Tuesday to Saturday, with many shops, fairs and markets. Eymoutiers Limoges is linked to its railway station "-Vassivière Eymoutiers" located in the city center and is served by many to / doing the binding Limoges-Benedictines - Ussel. So you easily find the "Capital of Art and Fire", his enamels and its famous Limoges porcelain. Let yourself be seduced by the charm of its buildings and its edges Vienna. Enjoy exceptional setting at the entrance of the Parc Naturel Régional de Millevaches and near Lake Vassivière and its many activities. Bugeat is a pleasant town situated in the heart of Corrèze Plateau Millevaches in Limousin. Plateau sometimes called the "thousand sources", you will be immersed in a protected environment combining water and forest. Also, you will easily extensive grounds as well as numerous water and fountains. Headquarters of municipalities Bugeat Sornac-heart-Millevaches grouping common Bellechassagne, Bugeat, Bonnefond Chavanac, Gourdon-Murat, Grandsaigne, Lestards, Millevaches Pérols-sur-vézère, Pradines, Saint-Germain-Lavolps, Saint-Merd the Oussines, Saint-Rémy Saint-Setiers, Sornac, Tarnac, Toy-Viam and Viam, Bugeat is an important tourist center. Bugeat is renowned for its hospitality, its dynamism, hiking trails and especially the National Sports Training Centre. Located in a semi-mountainous landscape, you will find great properties stone and especially granite Limousin. Enjoy the edges of the Vézères with lifeguard, all shops and many activities, making Bugeat an ideal place for relaxation and escape. With a station on the Limoges-Benedictines - Ussel, you can move easily and perhaps visit Eymoutiers and Paul Rebeyrolle Museum, Saint-Léonard-de-Noblat and its historic center, or Limoges "Capital of Art and Fire" and its porcelain. Enjoy this exceptional environment of nature and greenery located on the famous Plateau Millevaches in Limousin. Saint-Léonard-de-Noblat is a town of about 4500 inhabitants located in the heart of the Limousin green and hilly. The architecture of the city is typical of medieval towns. Houses downtown are built up over several floors with studs. The facades have easily carved elements such as gargoyles or lintels carved. On the edge of town, you will meet gorgeous stone farmhouses, large barns rehabilitated and renovated houses in beautiful traditions limousines. Headquarters of the Community of Communes Noblat grouping common Champnétery, The Châtenet-in-Dognon, Eybouleuf, The Geneytouse, Royères, Saint-denis-the-Walls, Saint-Léonard Noblat-de-Saint-Martin-Terressus and Sauviat-sur-Vige, Saint-Léonard-de-Noblat is located about 25 minutes from Limoges and its airport Bellegarde. Step on the road to Saint Jacques de Compostela, Saint-Léonard-de-Noblat has a rich architectural heritage typical Limousin Romanesque collegiate church with its particular reputation for the architecture of its bell gables. Traversed by the Vienna and with a preserved environment, you probably enjoy walks, fishing brown trout and grayling, and other excursions. Nearby you will find the Moulin du Got that are traced 500 years of know-how of paper, or the Historail, railway museum. Get a station on the Limoges-Benedictine - Ussel and near Lake Vassivière. Principal residence or vacation home, enjoy a natural setting with all the comforts of a real city. Bujaleuf is a small town of about 1000 inhabitants located 35 km from Limoges, "Capital Arts and fire." You will meet in this charming village architecture typically limousine. The typical house in the Limousin wants in perfect harmony with the landscape. Construction of simplicity and functionality, you can enjoy traditional home distinctive with their stone facades Limousin, their slate roofs, their large volumes and parts of pleasant living. Bujaleuf an integral part of the community of communes Gates Vassivière grouping common Beaumont-du-Lac, Augne, Bujaleuf, Cheissoux, Domps, Eymoutiers, Nedde, Peyrat-le-Château, Rempnat Sainte-Anne-Saint-Priest, Saint-Amand-le-Petit and Saint-Julien-le-Petit. Ainis you enjoy the tranquility of the countryside close to many tourist attractions. At the heart of the Monts et Barrages Country in Haute-Vienne and the gates of the Natural Park of Millevaches in Limousin, you will have a pleasant life, allowing hiking and sports activities all tranquility biking, fishing, mushroom, porcini, chanterelles, bathing and boating on Lake St. Helen. Located in the heart of Limousin, the Pays de Monts et Barrages, Peyrat-le-Chateau is a small town of about 1000 inhabitants Plateau Millevaches. Millevaches Plateau straddles the departments of Corrèze, Creuse (Gentioux Plateau) and Haute-Vienne. Historic heart of medieval houses, you will encounter including houses of hewn stone, where the living rooms are usually equipped with one or more stacks. Integral part of the community of communes Gates Vassivière grouping common Beaumont-du-Lac, Augne, Bujaleuf, Cheissoux, Domps, Eymoutiers, Nedde, Peyrat-le-Château, Rempnat, St. -Anne-Saint-Priest, Saint-Amand-le-Petit and Saint-Julien-le-Petit, Peyrat-le-Chateu offers numerous animations. With a rich history and a natural setting, you will probably find a pond of the fifteenth century in the heart of the village or the Resistance Museum. Beach, playgrounds for children, football stadium, Skate Park, tennis, school, nursery, shops, this is what awaits you in this typical Limousin town. Just 7 km from Lake Vassivière and its International Center of Art and Landscape, 6 km from the Cascade Jarrauds fueled by Maulde and 15 minutes from the train station to 'Eymoutiers-Vassivière, the village will surprise you with its exceptional nature and historical heritage. Spanning nearly 1,000 acres between the Creuse and Haute-Vienne Lake Vassivière is the largest lake in the Limousin. Lined with a few cottages, houses and old houses limousines, you will surely find your happiness. In main house or second home, enjoy the serenity of wide open spaces and breathtaking panoramas. Located in the heart of the Regional Natural Park of Millevaches in Limousin, where territory is followed by a variety of natural preserved from the bog, deciduous forest in through the dry heath heather, you can enjoy many activities. Commissioned in the 50s, Lake Vassivière Limousin is now the largest center of recreation and sport in the region. With 6 supervised beaches, 3 marinas, 300 km of hiking trails and 45 km of shoreline, it offers a living out of the ordinary. Dynamic place and culture, you will find places such as the International Center of Art and Landscape Vassivière island. Located near the cities of Peyrat-le-Château and Eymoutiers other tourism centers. Enjoy unspoilt and undulating in an exceptional site just an hour from Limoges regional capital. Châteauneuf-la-Forêt is a town of about 1500 inhabitants located in the department of Haute-Vienne. The architecture of the city center blends traditional houses and suburban homes. For lovers of serenity and nature, you even further away from the town, you will meet all other architecture sets with gorgeous stone longhouse and farms over large land surfaces. 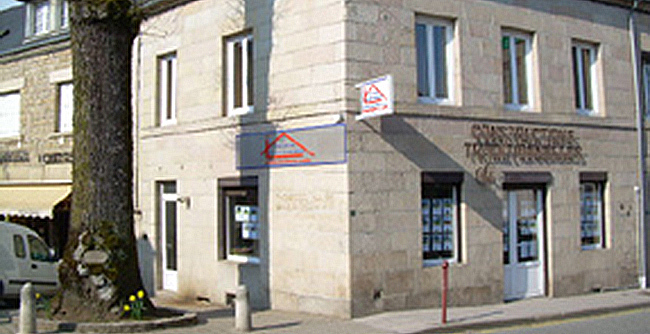 Headquarters of the Community of Communes Briance Combade grouping common Châteauneuf-la-Forêt, La Croisille-sur-Briance, Linards, Masléon, Neuvic Integer, Roziers-Saint-Georges, Saint -Gilles-les-Forest, Saint-Méard, and Surdoux Sussac, Châteauneuf-la-Forêt is a major tourist hub of the country Monts et Barrages. Châteauneuf-la-Forêt is located only 20 km from the A20 motorway linking Paris to Toulouse and less than 30 minutes from Limoges, the regional capital also called "capital Arts and fire. "With its station Châteauneuf-Bujaleuf, you move easily in the towns served by the TER line Limousin Limoges-Benedictines - Ussel. Enjoy sports and cultural facilities, school, college, football, handball, cinema, lake and bathing area within a city center shops. Enjoy a pleasant living and unspoiled nature at the edge of the Regional Park of Millevaches. Saint-Germain-les-belles is a commune of the Haute-Vienne in the outskirts of Millevaches Plateau, just 10 km from the A20 and 25 minutes from Limoges and its airport Bellegarde. You will meet in the city center as well as traditional dwellings suburban houses. By slightly away from the city center, you will meet beautiful stone granite sets, beams and roofing slates. It is the headquarters of the Community of Communes of Martoulet grouping common Glanges, The Piggery, Meuzac, Saint-Vitte-sur-Briance and Saint-Germain-les-Belles. You will find sports and cultural facilities such as, school, college, nursery, football stadium, gym or tennis courts. Enjoy the wealth of real estate this medieval town center by visiting a dynamic welcome you Tuesday to Saturday, with many shops and fairs and markets. Treignac Corrèze is a commune located at the foot of the Massif des Monédières in the Regional Park of Millevaches in Limousin. This medieval town is well known for its real estate, with its ancient alleyways and fountains, character properties, the rare church steeple twisted and panoramic views. It is the headquarters of the Community of Communes Vézères Monédières grouping common Affieux, Chamberet, church-aux-Bois, Lacelle, The Lonzac, Madranges, Peyrissac , Rilhac-Treignac, Saint-Hilaire-les-curves-Sudden Lavadière, Veix and Treignac. Located in the heart of the Gorges de la Vézères, you will discover a lush natural landscape. You may visit the church of Notre-Dame Romanesque style, the Old Bridge, the Chapel of Our Lady of Peace Chapel of the Penitents, and many other treasures. Famous for hosting the world championship canoe-kayak, whitewater Gorges Vézère will also allow you to exercise your wild trout fishing. Take advantage of this exceptional quality of life of many activities such as the Museum of Arts and Traditions, equestrian center, beach area and all shops.